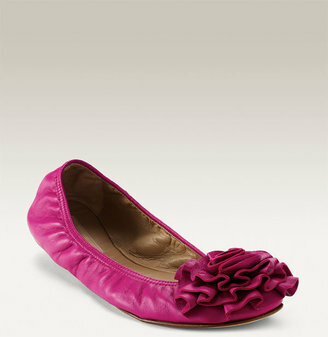 Valentino's Petale Flats are $495 at Nordstrom.com. I'd smile with each step if I had a pair of these beauties! Get a similar look for less with the Report 'Kimball2' Flat, just $49.95. Comes in 4 great colors (sorry, no pink), also at Nordstrom.com. Click on any image for more info. Not long after I featured eShakti.com in this post, I was contacted by someone from the company who asked if I would like to review one of their garments free of charge, so I picked out a mock two-piece dress that I felt would work for a number of occasions. eShakti.com lets you customize items to your specifications (if you choose), so I provided measurements for the bust and waist, as well as a custom adjustment for the neckline. Not to nitpick, but I'm pretty sure I inputted "wide scoop" for the neckline, yet the dress appears to have a "regular scoop." I'm sure I could have resolved this with the company but I liked how it came out, so I didn't bother.